Our home insurance can be combined according to your needs. You can choose to cover the building, the contents, or to combine both on the same insurance policy. Our contents insurances always include liability insurance for the household. Regardless if your house is a permanent or a holiday home, we can find an insurance solution that suits your personal needs. 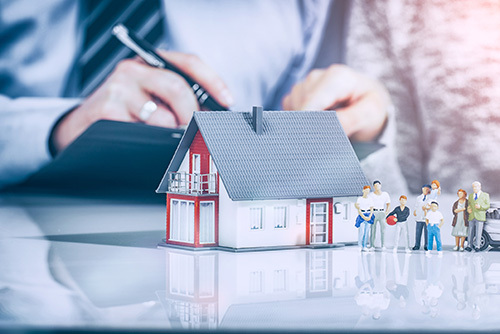 If there would be a mortgage on the property, we will include a clause with your bank as a beneficiary and we will forward a copy to your bank. This service is free of charge. If you live in a building complex with community insurance for the building, you can at Kaas & Kirkemann achieve great discounts on your individual contents insurance if the community is insured through us. At Kaas & Kirkemann you get personal service without additional premiums, in your own language. Contact us and get more information about our house insurances and our favourable prices.